Now that the kids are out of school for summer break, it’s time to find some enjoyable activities around the area. We all know there are tons of fun things to do around the Valley: water parks, Phoenix Zoo, kids’ museums, Diamondback games at Chase Field, OdySea and Butterfly Wonderland in Scottsdale, and more! 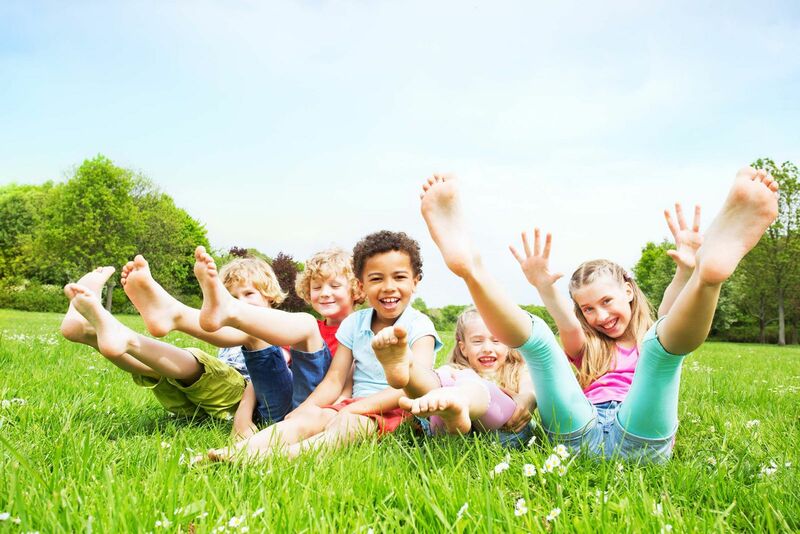 While you’re planning the fun, we have some summer footcare tips to keep in mind so your children's feet stay safe no matter what activity they do. If you’ll be at the pool or a water park, don’t forget the sunscreen! We all know the importance of applying (and reapplying) sunscreen when outside, but it’s rather common to forget to put sunscreen on the feet and ankles altogether. However, the feet and ankles are just as important to put sunscreen on, and they are just as vulnerable to the sun’s harmful rays if left unprotected. For the days you’ll be exploring indoors at a museum or aquarium (because us Arizonans know it’s nice to retreat to air conditioning on the triple-digit days), it’s best to make sure your children are wearing proper footwear that is the right size and width and has a proper amount of arch support. After all, it’s no fun dealing with an unhappy kid who’s having foot pain from bad shoes. Even though the kids are on break, that doesn’t mean routine nail care should take a break too. In fact, summer is an important time for nail care so that your kids don’t scratch themselves and ingrown toenails don’t occur. Just make sure to carefully clip the toenails straight across--never down on the sides and never too short. With these summer foot care tips in mind, your kids can enjoy their summer problem-free! However, if an issue does arise, the team at Advanced Foot & Ankle Specialists of Arizona is here to help. Feel free to reach our Chandler and Gilbert offices by phone at 480-963-9000 or contact us via our online form here.